Smell is an illusion, my father used to tell me: invisible molecules in the air converted by my brain into cinnamon, cut grass, burning wood. Heat was a measure of receptors in my skin, and brown was not brown but a combination of light waves captured by cones in my eyes. The world as I knew it, as I felt it to be, was the result of my own personal experience, and so it was up to me to make the best of understanding of it. Circumstances: Fresh out of grad school, Emily is given a place in a New York City research lab, studying the sensory neurons involved in the sense of smell. Her work involves DNA sequencing, as she tries to identify the specific genes involved. She's in her element, until she starts to feel a draw toward Aeden. Although they must share results, they are also rivals in trying to find answers to similar research questions. Emily is ultimately faced with the age-old dilemma: balancing career, happiness, love, and ambition. Why I want to read it & themes: When I was fresh out of graduate school with a PhD in a biological science, I too had to make choices. I'm interested in seeing how things have and have not changed for women in science. Things to know about the author: This is Rothman's debut novel. She once held a postdoc position in a research lab in New York studying the neurobiology of olfaction, so she knows what she's talking about. She also has an MFA in writing. Reviews: The novel has won starred reviews from print publications, and most reviewers have noted that the laboratory setting is more than gimmick here. 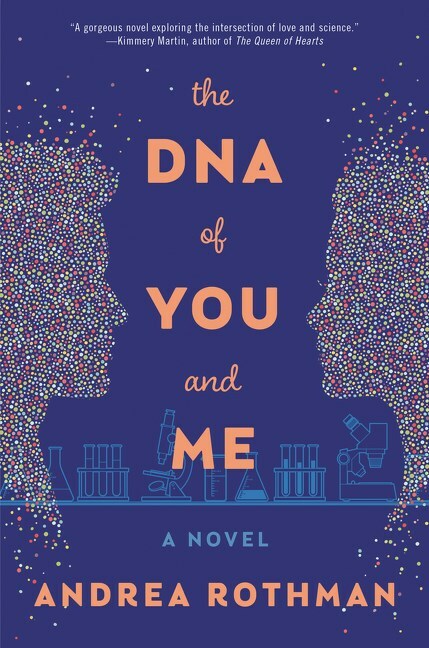 The protagonist faces issues that many women in the lab sciences have had to deal with: introvert personalities, a love of their work, a hope for some kind of social life, and ambitious career goals. Goodreads rating is 3.5; Amazon rating is 4.7. 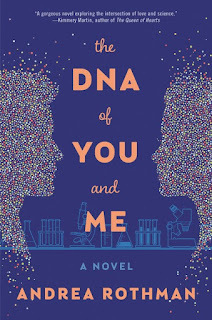 Acknowledgments: thanks to William Morrow for a review copy of Andrea Rothman's The DNA of You and Me. Intrigued by the not-gimmicky use of setting -- that has me considering this one. Oooh, this one sounds interesting! Thanks for bringing it to my attention! It has a good vibe but could be too sentimental and conventional OR really take a deeper look at things. I’d be more interested in reading it if you were actually reporting on your own impressions. But you don’t seem to have actually read it. Great to find out the basics of what it's about - I was wondering! Sounds interesting - I wonder if there's a little romance involved. I'm definitely interested--I like the theme and setting. As a fan of debut novels, this one has my interest. The beginning makes me think I'd like this book, I'd keep reading.